Come on out this Wednesday night from 10pm – 2am for the first pub of the year! This all ages pub will be held in PCH, the basement of the UC. Tickets will be sold at the door up until 1am, on a first come/first serve basis. 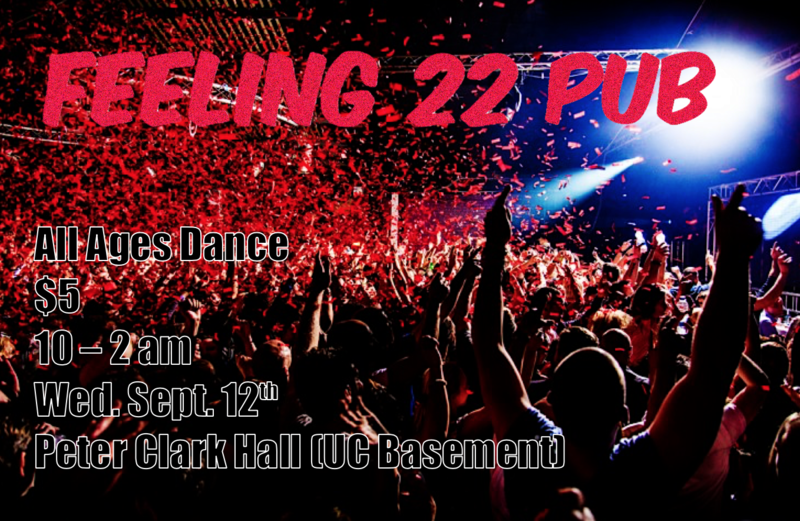 The theme is “Feeling 22” just remember, Everything will be alright, if we just keep dancing like we’re 22!